New images from Lanthimos's upcoming blackly comic period drama. 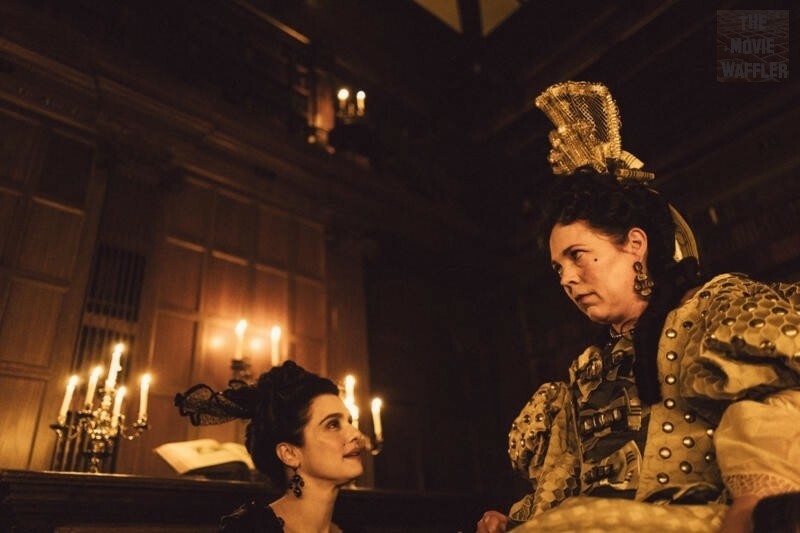 Having established himself as the leader of the 'Greek Weird Wave', director Yorgos Lanthimos continues to bring his acerbic brand of black comedy to English language cinema with his latest, The Favourite. The period comedy sees the director reunite with Rachel Weisz and Olivia Colman, who both appeared in his English language debut The Lobster, while Emma Stone comes onboard for a drama set around two 18th century women (Weisz and Stone) competing for the affections of the dying Queen Anne (Colman). You can check out two new images below, along with the recent trailer, if you haven't caught that already.